Fresh Hop Season has been creeping along, and it is just about to hit full speed. If you aren’t headed out to Yakima this weekend, then you should head to The Noble Fir this Saturday for the 8th Annual Fresh Hop Throwdown. This year, we are doing a Seattle vs. Portland throwdown. There will be around 20 fresh hop beers on tap, including some fun stuff from Portland breweries that don’t typically make it up this way. The doors open at 3pm, and there will be a judging earlier in the day to determine the top 3 fresh hop ales in the lineup. Registration is now open for Washington breweries to be a part of the 6th Annual Washington Beer Awards. Don’t miss out. Let’s make this the biggest field of Washington beers yet. A press release with more info is below, and you can head to the event website to see more details and registration information. Want to see which breweries won in past years? Go here. Seattle, WA, March 1, 2018: Specialty Competitions LLC is proud to announce the return of the Washington Beer Awards®, the craft beer competition designed specifically to support Washington’s professional brewers. This is the sixth year for the Washington-only competition that provides an opportunity for all of Washington’s craft brewers to compete in a blind judging format and fosters recognition of brewing excellence in Washington. In 2017, 165 breweries submitted 1,207 beers to the competition spanning 122 styles from the Brewers Association Beer Style Guidelines. Judging was conducted by dozens of trained judges who assessed the technical and stylistic accuracy of the entries. More than 190 awards were presented recognizing brewing excellence in the state. The 2018 competition is expected to grow with additional entries and award categories. The competition will also recognize “Breweries of the Year” who receive multiple awards in various categories and also feature special awards for a “Best Washington Agricultural Product Inspired Beer” and a “Best Washington Malt Beer.” This competition also includes a “Pro-Am” category recognizing collaborations of homebrewers and professional brewers who have scaled up homebrewer recipes for production on a commercial scale. This year will also feature a “Collaboration Beer” category to celebrate the camaraderie of the industry. 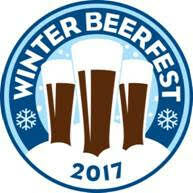 Breweries can register entries from March 1st through March 31st. 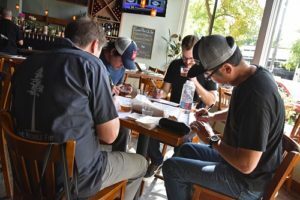 The 2018 judging will be conducted in early June with the winners being announced at the Washington Brewers Festival in mid-June. Details on the competition (including rules and registration information) as well as lists of the previous winners can be found at www.wabeerawards.com. Strong Ale Fest at Pine Box – Jan 18 – The crew at Pine Box are pulling out a bunch of strong ales from the cellar to help you warm up in the middle of winter. Prelim beer list includes Firestone Walker Brewing Co. Anniversary XXI, Fremont Coffee Coconut B-Bomb and Stoup Brewing 4th Nail. Ellensburg Winterhop – Jan 20 – SOLD OUT. 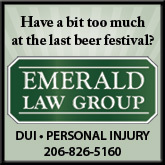 Too late to get in on this popular festival in Ellensburg. Start planning for next year? 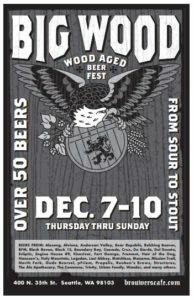 Strange Brewfest in Port Townsend – Jan 26 & 27 – One of the region’s most unique festivals, the attending breweries will bring some crazy beers. Just remember, crazy does not always equal good. Belgianfest – Jan 27 – The 9th Annual Washington Beer Commission Belgianfest will feature 100+ Belgian-style beers from Washington breweries. 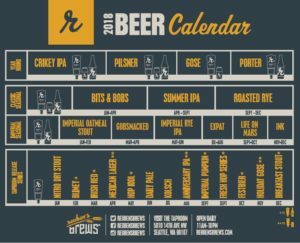 Washington Hop Mob Triple IPA Roadshow Kickoff – Feb 1 – The Hop Mob Triple IPA Roadshow is a series of events featuring Triple IPAs from Washington breweries. 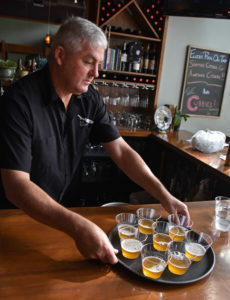 The kickoff at Brouwer’s Cafe will feature around 30 beers. If you can’t make the kickoff, check out the website for an event near you. Pike Chocofest – Feb 11 – This Valentines Day celebration features beer, wine, cider and spirits paired with food bites, with a heavy emphasis on chocolate. Hops & Props – Feb 24 – SOLD OUT (Designated Driver Tickets still available) – You have to get in on this festival at the Museum of Flight early if you want to attend. Solid beer lineup, and the setting can’t be beat. Brouwer’s Cafe Hard Liver Festival – Feb 24 & 25 – Let the celebration of barleywine begin! One of the country’s largest barleywine fests, Hard Liver will feature at least 45 barleywines. Beveridge Place Barleywine Bacchanal – Mar 15 to 18 – There will be 30 taps dedicated to barleywines, both fresh and older vintages. 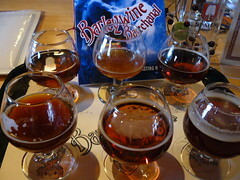 The selection will change daily, and over 70 barleywines are expected to be poured in total. Includes verticals and special releases. Washington Cask Beer Festival – Mar 24 – One of my favorite Seattle beer fests. Cask-conditioned beers from more than 40 Washington breweries. Seattle Scotch & Beer Festival – Mar 30 & 31 – Formerly known as Hop Scotch, this festival at Fremont Studios has a little more swanky vibe than your typical fest. Lots of great beer and scotch for tasting. Did I miss a big event? Leave a note in the comments. Brouwer’s Cafe puts on some amazing special events and festivals, and one of my favorites of the year is always Bigwood. This celebration of wood-aged beer includes stouts, sours, strong ales and more. They will be pouring more than 50 taps of wood-aged goodness. The event will start when the doors doors open at 11am on December 7 and will run through December 10. While some high-demand beers will disappear pretty quickly, there will be plenty of fun stuff left if you can’t stop by until later in the weekend. A preliminary list of beers for the event follows. It’s pretty impressive. If you haven’t noticed, fresh hop beer season is in full swing here in the NW. Beveridge Place Pub (BPP) is set to host its inaugural Fresh Hop Festival this Saturday, October 14, from 12pm to 6pm, which will be one of the final local fresh hop fests of the season. They will be closing off the parking lot to accommodate serving 36+ beers for the event. 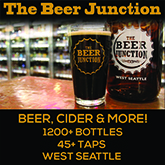 The prelim beer list for Saturday’s event is below, and there are some outstanding beers on the list, including several I have not yet seen pouring in Seattle. In addition, BPP will be hosting a preview event tonight (Thursday, October 12) from 6pm to 9pm featuring a bartop cask of a new IPA from Stoup Brewing with a bunch of fresh Cascade hops picked from BPP’s patio thrown in, as well as 5 other fresh hop beers on tap. A portion of the event’s proceeds will be donated to Americares and Wings of Rescue to help with the hurricane recovery effort in Puerto Rico. Cocina Buena will be onsite from 1pm to 6pm for food. Below is a list of 47 beers tentatively available for the event. Only 36 will be on tap to start, and the others will be available for backup once something else kicks. You’ll just have to show up to find out what is pouring. Hiking and beer often go hand-in-hand. No, I don’t mean drinking during the hike. But, a tasty pint after a strenuous hike can often be the most enjoyable part of the day. For Beers Made by Walking, hiking and beer come together in a more unique way. Local brewers were invited to head out on hikes and then craft new beers inspired by their experience on the trail. Rather than recreate the wheel, for more information I’ll point you in the direction of this Beer Advocate interview with Eric Steen, who passionately puts together Beers Made by Walking, as well as the press release below with all the relevant details for the event at Naked City on Oct 7. Calling all Washington craft beer and outdoor enthusiasts – The 2017 Seattle Beers Made by Walking special tapping event is coming to Naked City Brewery & Taphouse this Oct. 7th from 1:00-5:00pm PST. Beers Made By Walking invites brewers to go on nature hikes and make new beers inspired by plants observed on the trail. Each beer is a unique, drinkable portrait of the landscape. This event showcases 10 place-based beers from 10 Washington State breweries inspired by one of three trails and hikes they attended over the summer organized by Washington Wild. Hikes included the Upper CCC Trail, Wallace Falls, and Cherry Creeks Falls. All of the breweries participating are Partners of the Washington Wild Brewshed Alliance, an outreach program of Washington Wild of over 50 breweries that helps people make a simple connection: healthy watersheds mean clean water, and clean water makes better beer. Tickets, available from Washington Wild, are $20 and include entry and eight 4 oz. pours. Early bird tickets are available before September 16th and include two extra 4 oz. pours. All proceeds of this event are donated to Washington Wild to help protect public lands, wild spaces, and clean and healthy watersheds in Washington State. Washington Wild defends, protects, and restores wild lands and waters in Washington State through advocacy, education, and civic engagement. Since 1979, Washington Wild has played an invaluable role in permanently protecting nearly three million acres of Wilderness throughout Washington State. We bring people together in the vigorous defense of our remaining wild forests, waters, and wildlife. By educating, empowering, and mobilizing our communities, Washington Wild builds powerful grassroots networks that help protect wild lands and waters throughout the state. To learn more about Washington Wild visit wawild.org, or call 206.633.1992. Connect with the us on Facebook, Twitter, and Instagram.